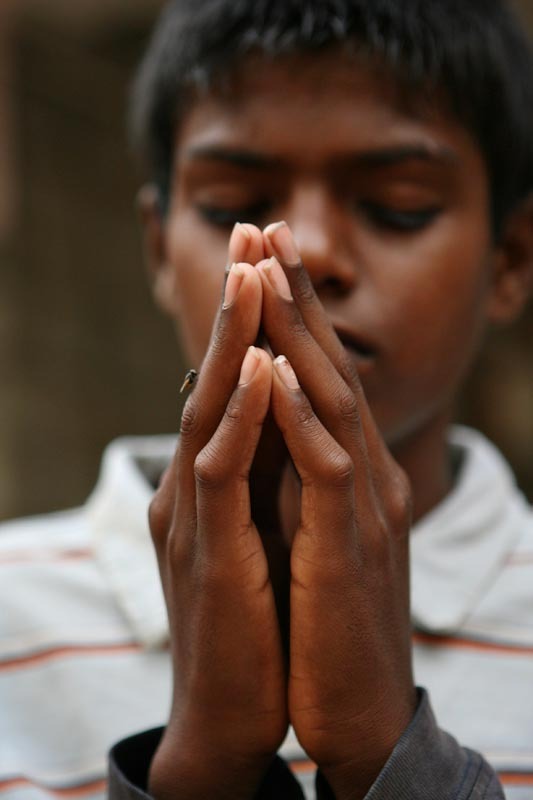 Thirteen-year-old John Peter says his evening prayer before eating dinner. "We do not convert here. We have Christians, Hindus and Muslims," said John Kennedy Samson, Morning Star’s director.